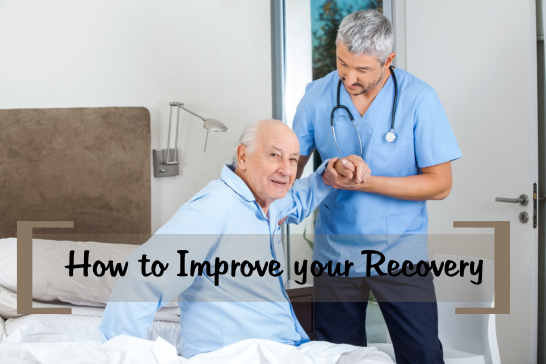 When you are going through rehabilitation services in Flemingsburg, Kentucky, there are a number of things you will want to keep into mind of, in order to speed up and improve your recovery. After all, rehab is a long process, but there are still ways to help make it easier and to get your life back on the right path. Some of the things you will want to consider will include exercise, healthy meals, and living life the way you want! When you are going through physical or occupational rehabilitation services, one of the best things you can do is exercise. Depending on the condition you have, you may need to rely on the services of Pioneer Trace Healthcare & Rehabilitation to provide you with the exercise support you need. However, even though exercise will be able to speed up your recovery and improve your strength, it will help give you the motivation you need to keep pushing through your rehab. Having a healthy diet is always a good thing! However, it is even more important when you are going through rehabilitation. Eating right will help provide you with the energy and the strength you need to persevere and be successful. Also, a good meal is always a good way to improve your mood when you are feeling down or when you need some extra motivation. Just because you have suffered a health condition, it does not mean you have to let it dictate your life. If you want to improve your health and have a successful rehabilitation, it is important to continue doing the things you love or to simply enjoy life. When you are not letting your circumstances bring you down, you will actually heal and recover faster. Not to mention that this is a great way to provide you with the motivation you need to keep yourself dedicated in improving your health. If you would like to learn more about rehabilitation and the different things you can do to improve your recovery and to help you get back to your normal life as fast as possible, feel free to visit our website pioneertrace.com for more information at any time. Also, if you would like to ask us any questions, we are more than happy to answer them all for you. Just give us a call now at 606-845-2132. This entry was posted in Rehabilitation, Therapy and tagged Living normally, Recovery, Rehabilitation. Bookmark the permalink.